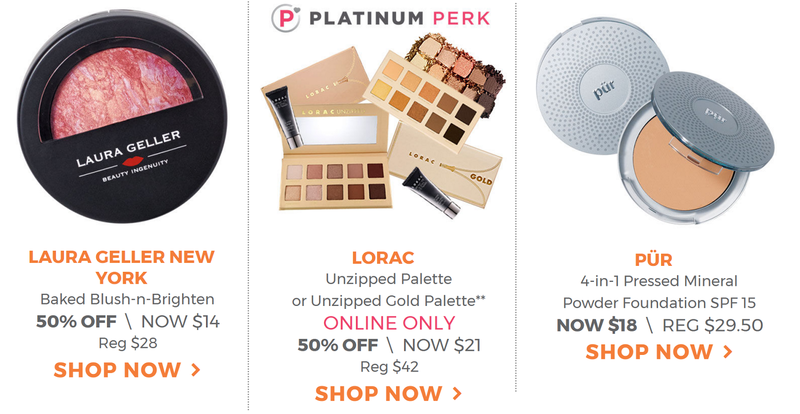 The Ulta 21 Days of Beauty sale starts today and there are some fantastic deals to be had! I wanted to share my recommendations with you (things I've tried and loved) and also my wishlist of things that I'll be buying during the sale. These are products I've tried and loved, so I would definitely recommend picking these up if you're interested in trying them! I have two of these blushes (Love Hangover and Justify My Love and they are beautiful, highly pigmented, and long-lasting. I plan to get the shade Baby Love and I Will Always Love You during the sale but I think the remaining two shades are probably too dark for me. 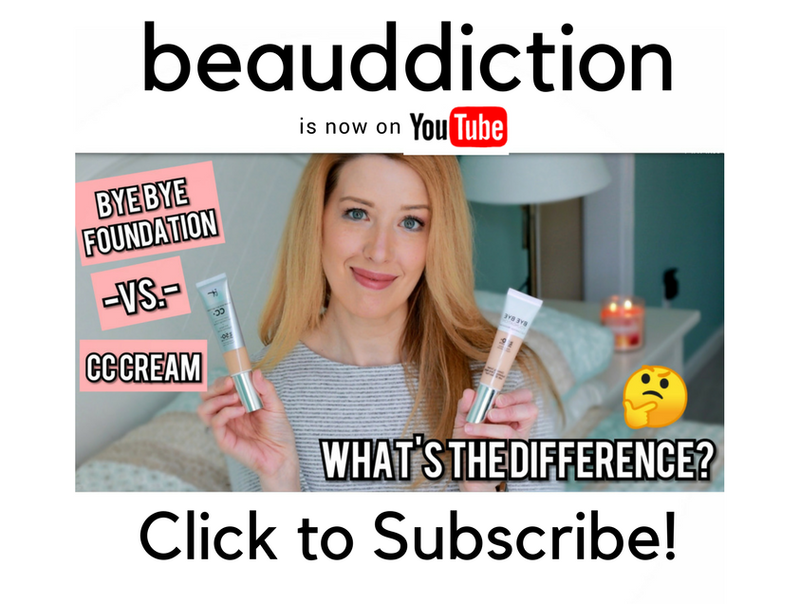 I have these in the Original, Brightening, and BB Tinted formulas and they all have a very lightweight texture that makes your skin feel like silk. My favorite is probably the BB Tinted formula because it adds a little bit of coverage and will give your foundation a little boost, especially if you're using something that doesn't have a lot of coverage...this will help fill it in a bit more. This was my holy grail mascara for many years (since before I was even blogging) and I haven't used it in a while because I'm always trying all of the newer formulas that come out to review for you guys. But it's an awesome formula that makes my lashes really long and thick and I'm definitely planning on grabbing one during the sale...I'm excited to try it again! These are my holy grail high-end shimmery blushes (check out my mini review here). They're so smooth and blend like a dream. Each shade has multiple colors running through it so it ends up looking really luminous and not flat at all. They also last forever because you only need a little bit of product. I'm obsessed with these palettes, particularly the original Unzipped because of the pretty rosy tones. They are so pigmented and easy to apply and blend, plus they last a long time on your eyes. I recently swatched both palettes here if you'd like to take a look! This is one of the only powder foundations I can use on my dry skin. It's so silky and smooth and doesn't cake up or leave my skin looking older (which a lot of powders tend to do). It has pretty good coverage, I would say sheer to medium, and I can build it up easily without it looking powdery or making my skin look dull. It almost feels hydrating, which is weird to say of a powder, but for me, it's true! You can read my full review here. The Tarte Amazonian Clay blushes are one of my favorite formulas! They're really long-lasting for a powder blush and come in beautiful shades. I own all of the shades so I won't be purchasing any during the sale, but since the highlighters are included I might pick up one of those to try. This is my holy grail eyebrow pencil...the tip is super fine so it creates the illusion of real brow hairs and it's really long-lasting. I actually just finished mine so I'll be repurchasing another one (if I can just wait a few more weeks!). For reference, I wear the shade Soft Brown...it's a cooler-toned light brown just like my natural hair color, so it doesn't have any warmth or red in it. There are also three products I haven't tried yet but have had on my list for a while! I'll be buying these in addition to some of the items I named above (Tarte highlighters, Brow Wiz, Tarte Mascara, Laura Geller Blushes, and Too Faced Blushes). I'm all about trying new products from Fiona Stiles because the few I have tried were really awesome. I'm loving the cooler tones in the Light/Medium Sculpting Palette...it's not always easy to find the right shades for fair skin, so at $14, I feel like this is definitely worth a purchase! I can't even tell you how many times I've had this palette in my hands at Ulta and then ended up telling myself I have too many eyeshadow palettes and put it back. Now I'm happy I didn't purchase it earlier because this is an amazing deal! I've heard so many great reviews on this palette and I really love matte eyeshadows so it's a no-brainer at this price. I recently swatched these when I was in Ulta and was thisclose to buying one because both the blushes (you can choose from peach or pink) and the gold highlighter are super pigmented and creamy. I was in love with both blush shades and had trouble choosing so I didn't end up getting one at the time. I'm definitely picking one up now...I just have to decide which one! Well that's it! What are you getting during the 21 Days of Beauty Sale? I'd love to hear all about your hauls! I'm addicted to blush, so... probably a Laura Geller lol. I'm for sure getting the It Cosmetics CC+ SPF 50 powder, because I love it. I'm seriously considering the Lorac Unzipped original palette and will probably cave and buy it. Tempted to buy more LG blushes and the Tarte Exposed blush but don't need another blush!! 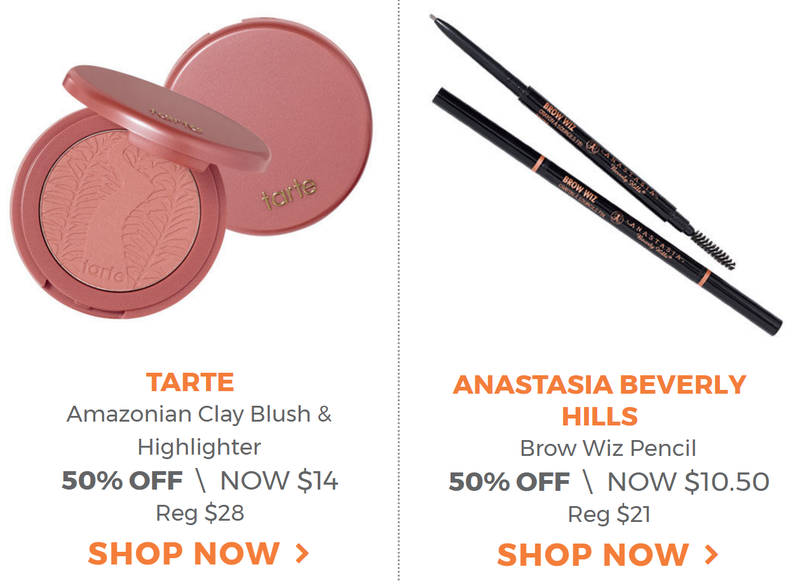 Also tempted to buy the Anastasia Brow Whiz at that price, because it's almost comparable to drugstore pricing! I love having Platinum status this year, so I don't have to worry about shipping costs...not to mention the extra deals. Can you believe I've never tried those? I think I need to! I bought 4 of the Too Faced blushes and I plan to buy a Butter London Glazen eye gloss in Oil Slick, Urban Decay Video and Quiver blushes, and Tarte Dollface blush. Might buy the It eyeshadow palette, Tarte Stunner highlight, Butter London plush rush lipstick in Lucky. Do you own any of the Urban Decay blushes? I'm enjoying Fetish and Rapture from last years 21 Days sale 😀. Here Ulta 💰, lol! Do only platinum members get free shipping? Esme, for this 21 days of beauty event Platinum members get free shipping WHEN THEY PURCHASE A 'BEAUTY STEAL' ITEM(S). Otherwise, platinum members are subject to the same free shipping threshold as everyone else. There is a lot of confusion around that, so I wanted to clear it up. Nikole thank you so much for clearing it up.